Instant Pot Detox Turmeric Veggie Soup (Whole30 Paleo) – a delicious, savory soup full of cleansing ingredients. 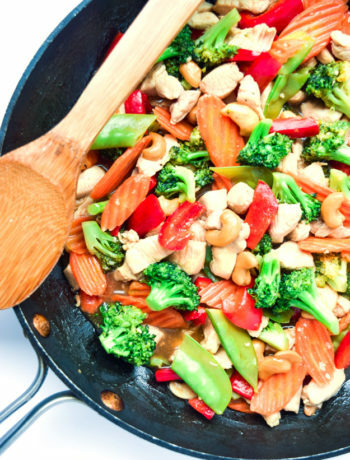 Loads of veggies and spices combine for a flavorful, fragrant, and super nutritious recipe! One of the goals I set for 2017 was to eat clean as much as possible. 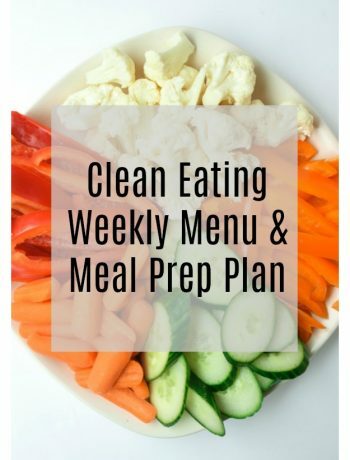 For me, the weekends tend to be the toughest for sticking to this plan and occasionally I find myself needing to detox from a heavy cheat meal (or three!) 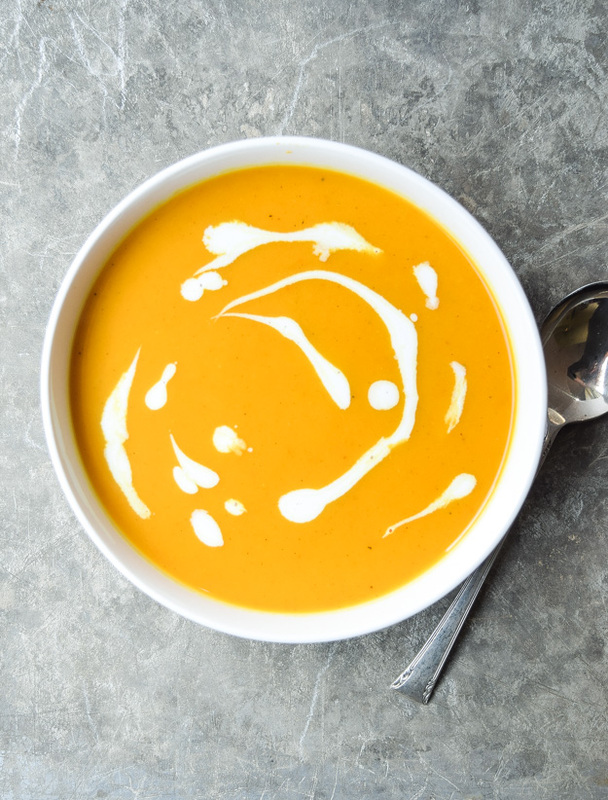 Enter this soup…I love this recipe because it has so many digestive and anti-inflammatory health benefits AND is super delicious. 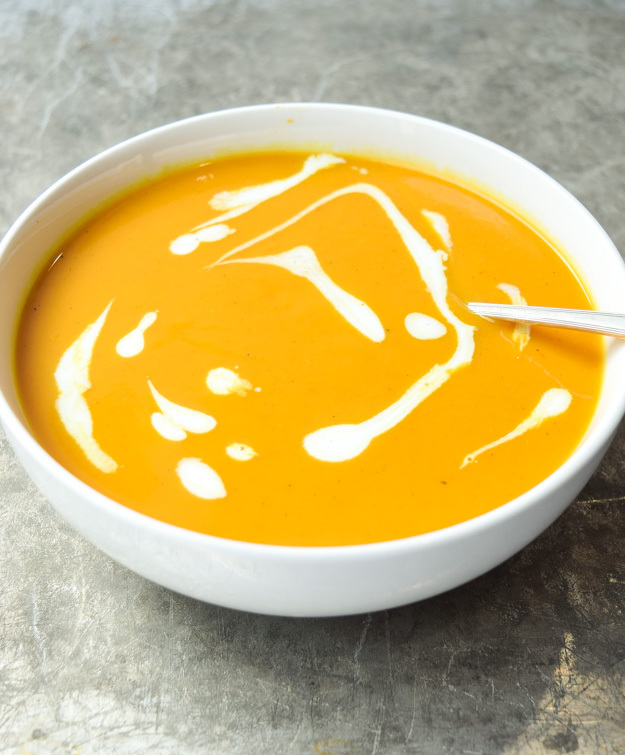 This tasty soup contains vegetables, spices, broth, and coconut milk…that’s it, just real, clean ingredients loaded with nutrition. The flavor-packed spice blend of garlic, ginger, turmeric, garam masala, curry, and cayenne provide plenty of digestive and detoxifying power to get your system back on track. A little side note on turmeric…you may have noticed the sudden trendy topic involving turmeric and its significant health advantages. I’ve been reading up and here’s what I learned about this magical ingredient. Turmeric contains the compound curcumin, which is a powerful antioxidant responsible for the bright yellow color. Curcumin is known to fight inflammation, and believed to improve digestion and help with joint pain, among many other things. It can be taken as a supplement, but I love the warm spicy flavor so much, I’ve been adding it (along with curry, which is made from turmeric) to recipes wherever I can. 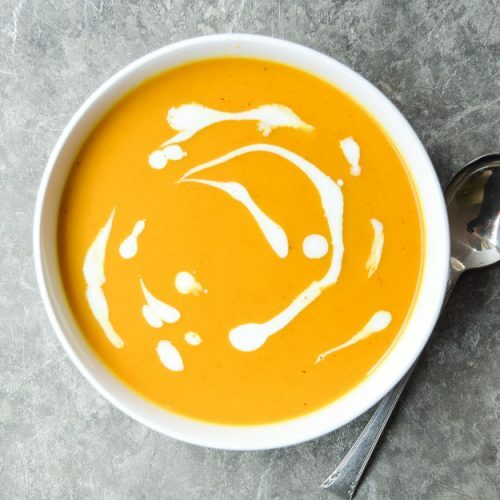 I like to make this Turmeric Vegetable Soup in the Instant Pot because it does all the work for me in a short amount of time, but it can made on the stovetop or in the slow cooker as well. Add this one to your Meal Prep Sunday plan, and enjoy it all week long! Looking to incorporate more anti-inflammatory recipes into your diet? Check out this Anti-Inflammatory Blueberry Smoothie for a refreshing and cleansing breakfast choice! Detox Turmeric Veggie Soup (Whole30 Paleo) - a delicious, savory soup full of cleansing ingredients. Squash, carrots, and sweet potatoes combine for a flavorful, fragrant, and super nutritious recipe! Combine all ingredients in the Instant Pot and stir well. Lock lid and for cook on Manual setting for 20 minutes. When cycle is complete, allow for slow release or do quick release of pressure. Puree soup with an immersion blender and serve. 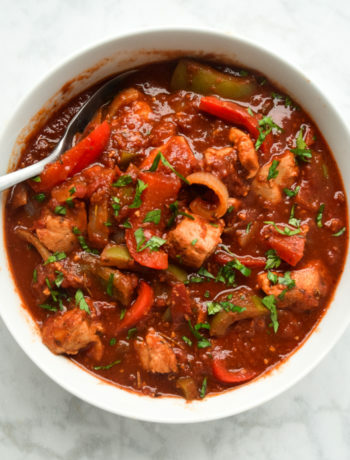 Combine all ingredients in the Slow Cooker and stir well. Cook on High 3-4 hours or Low 6-8 hours. Puree soup with an immersion blender and serve. In a large dutch oven or soup pot, heat the coconut oil over medium high heat. Add squash, carrots, sweet potato, and onion, cooking 4-5 minutes. Add garlic, ginger, and spices. Cook and stir for an additional 1-2 minutes. Add broth and bring to a boil. Reduce heat and simmer 15-20 minutes, until veggies are soft. Remove from heat. Puree soup using an immersion blender. Stir in coconut milk and season with salt and pepper to taste. Lauren – this recipe is about 10-11 cups. Hope you enjoy it as much as I do! Oh thank you for telling us this. I only have a 3qt, and I don’t think this would all fit in mine. But this list of ingredients just looks amazing. Do you ever freeze any of this after make it? Yes, it freezes great! I often freeze half of the recipe for later. Ok… this is the BEST SOUP for our cold New York days/nights! The flavors are amazing! For some extra crunch I topped with a handful toasted pumpkin seeds. Made it in the crock pot overnight (wont do that again… (overnight) as yummy as the soup is…waking up to the smell of savory soup isn’t my favorite) otherwise it was the easiest and tastiest fall soup I’ve ever made. After over eating and feeling like poop this past week I started my Monday with a plan and I’m so excited for my next serving of this soup! Thank you!! Glad you enjoyed the soup, it’s my favorite!! We have a coconut allergy in the family, but this looks SO GOOD – any substitute??? If not, I’ll have to make it for myself sometime! I hate to do this to you, but no nuts or soy either! Yes, it’s SUPER fun cooking for my family! Think rice milk (even with no nutritional value) would work?? Or hemp milk? It’s worth a try!! What about dairy? If you’re not trying to keep it Whole30, heavy cream or half and half would work great! I just made a pot and it is in the slow cooker as I type this. One note, Turmeric is better absorbed if cooked with a bit of pepper which I added to the pot. Thoughts on adding raw chicken to the instapot or wait and add cooked chicken later? Jaime, I think you could do either, but I often add cooked chicken after. That’s just my preference! I like to keep the soup as is so that I have the option to eat it plain or with added protein. Do you know approximately how many calories? Nicky, it’s approx. 160 calories per cup. Nutrition label has been updated for this recipe! Thx! Have you tried serving this cold as a summer soup? I haven’t, but it’s definitely worth a try…I bet it would still be delicious! 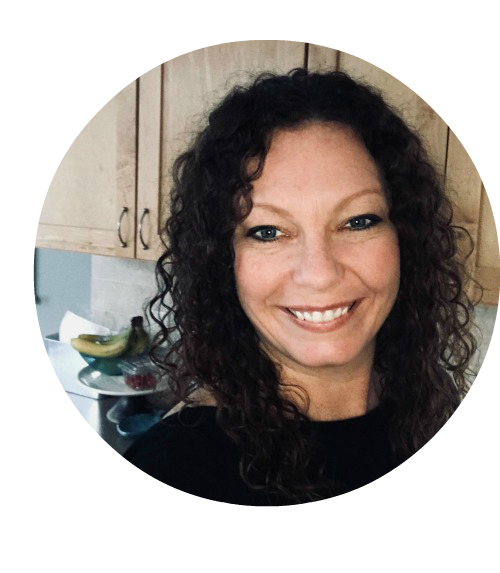 When you say cook in the instant pot 20 minutes is that manual and what pressure level? It was pretty vague. Looking forward to trying this! I know it says manual, but what temp? High? Hey ELizabeth – yes, high setting! Delicious! My 12yr old daughter absolutely loves this soup.